I am attending a business breakfast this morning that was organized by two dynamic young men, Kyle Jonck and Jason Martin. The conference is hosted Granger Bat Hotel in the beautiful Waterfront, Cape Town. Kyle and Jason did the welcoming and up introduced the MC for the day Reagen Allen. Reagen is a young dynamic business man and i really look up to him. 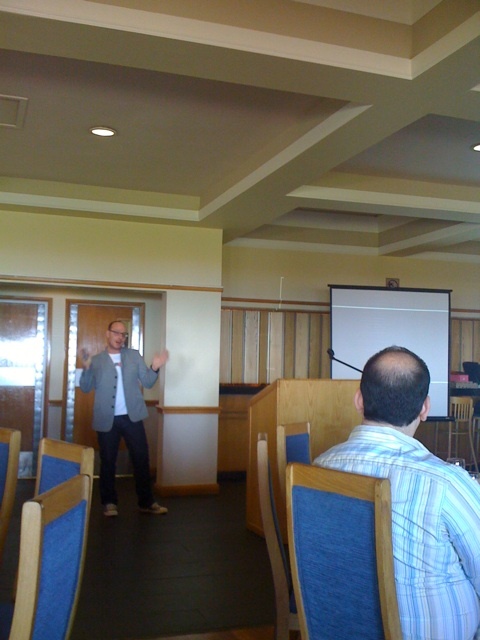 The first guest speaker up was Dave Duarte, a online marketing curator and well known on the Social Media scene. He shared so many interesting facts regarding marketing and social media. Looking forward to what is still on store. I love this conference. *NB I AM DOING LIVE BLOGGING FROM THE EVENT. You are currently reading Dave Duarte speaks at the Business 2020 Conference at A JOURNEY OF A THOUSAND MILES BEGINS WITH ONE STEP.